The Ultimate Fighting Championship’s first card in New York City reportedly generated over $37 million dollars in economic output for the region, according to a new study. On Monday, the UFC announced that a study concluded that the November 12th, UFC 205 card at Madison Square Garden created $37.4 million in economic output and $18.3 million in salaries and wages. The event also reportedly supported an estimated 300 jobs and generated $1.6 million in taxes for New York State. 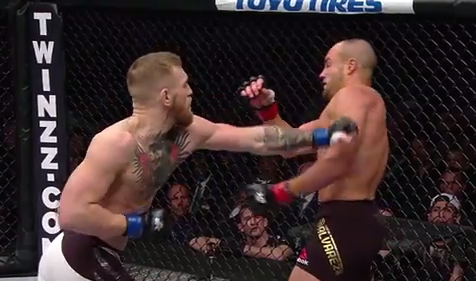 UFC 205 saw Conor McGregor stop Eddie Alvarez in the main event to secure the promotion’s lightweight championship.